A few weeks ago, on December 16th, a beauty bloggers event took place in Athens with a really good cause, we raised money for the Fashion Targets Breast Cancer Hellas. It was a great opportunity to meet and chat with some great ladies/beauty bloggers, and meeting some of them for the first time. 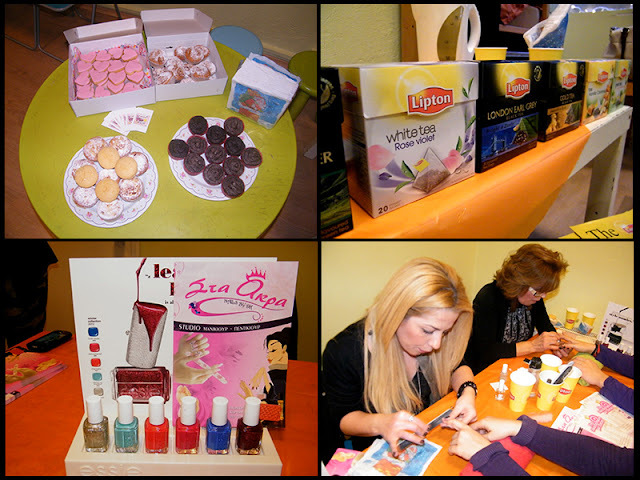 It was a great tea party with lots of Lipton teas, yummy biscuits and muffins, and all the girls had manicures with the newest Essie shades from the Stylenomics and Winter collections! It was a really friendly and cozy gathering for beauty bloggers, I had such an amazing time! All these pictures from the event were kindly provided by Mary from Made in Heart and Konstantina from 5 Glam Club, thanks so much girls! 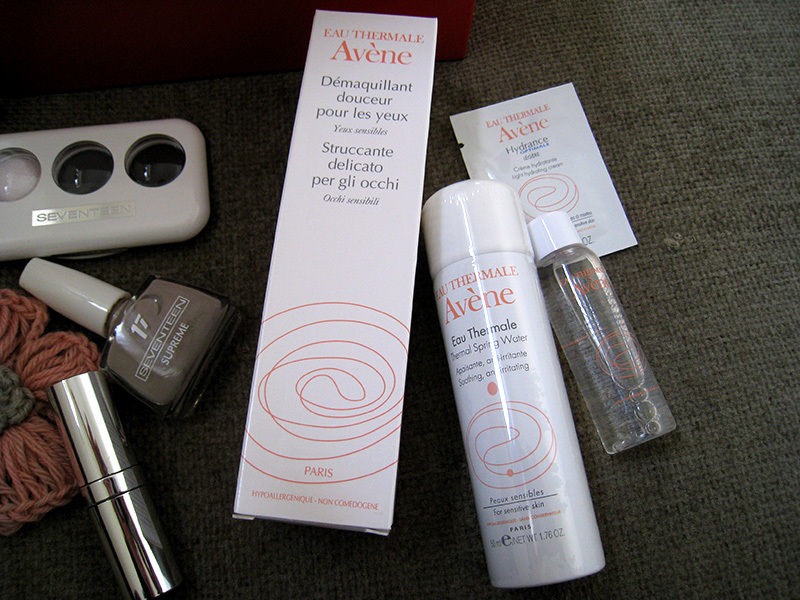 We also won some amazing gifts from the brands that kindly offered them for the event: Avene, Bacchia, Clinique, Fresh Line, Garnier, Korres, L'oreal, Seventeen, The Body Shop, Vladi Elena and Plexei Plexi. 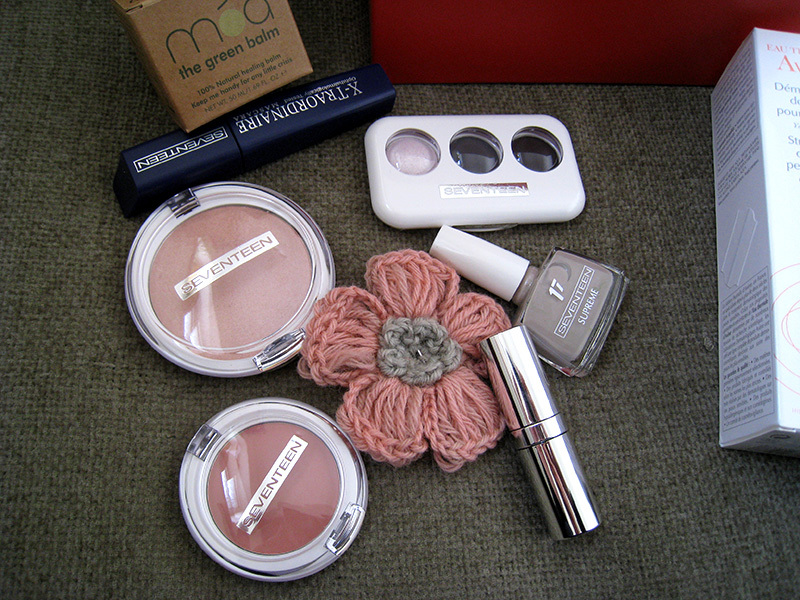 These are the ones that I won, and I have to say that I'm more than happy, all the gifts were amazing! 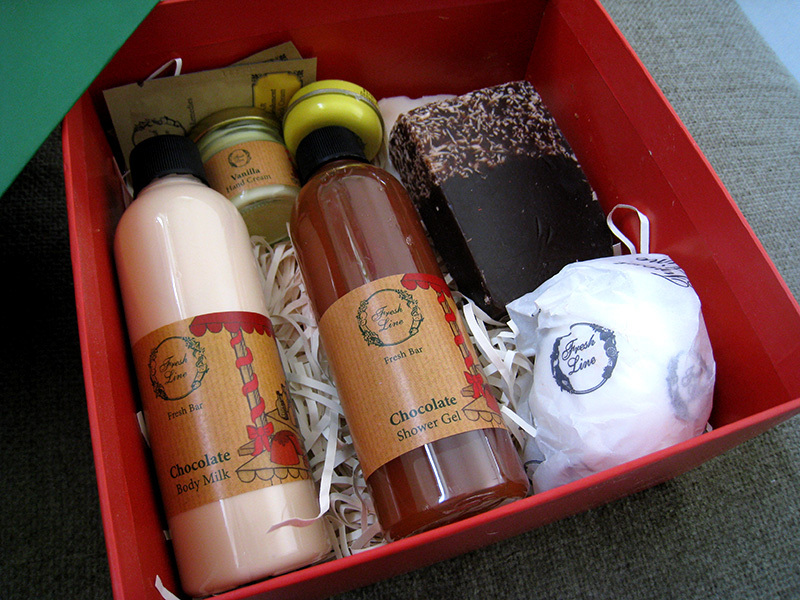 I'll do a review for the chocolate set from Fresh Line very soon, it smells delicious! 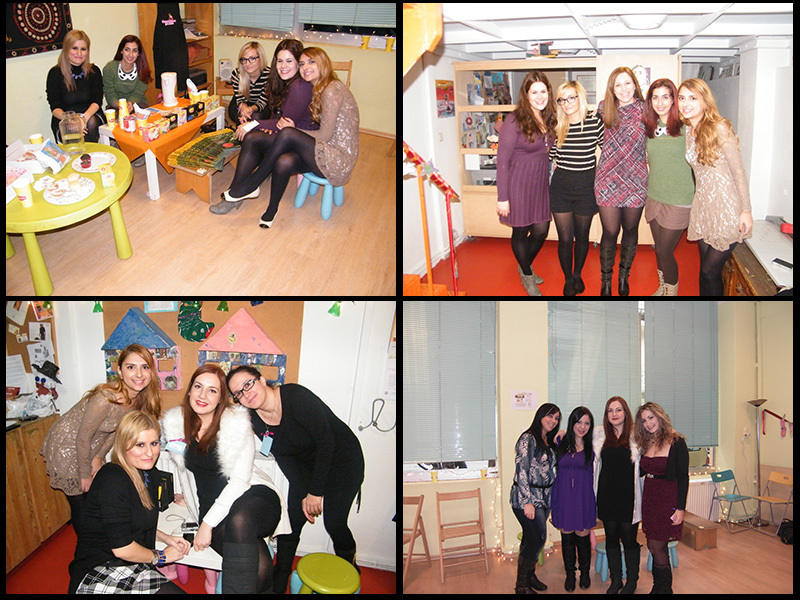 Again I want to thank all the gorgeous ladies that organized the whole event, it was amazing. I was so happy meeting all of you! Kai egw to euxomai, thelw polu na se gnwrisw apo konta Marillia!! Aww you had an amazing time I see.. Maybe sometime will meet too girl! Aww I hope so! It would be so great if we could all do a huge meet up on day!! Τί ωραία που ήταν!! Τα κορίτσια τα είχαν οργανώσει τέλεια και το κλίμα ήταν πολύ πολύ ζεστό! !